Aries is usually the first sign of the Zodiac, so it's probably where we should have started. So, we'd like to apologize to the impatient rams among us. You had to wait to learn your grape pairing till the very end of our series "Grapes of the Zodiac." But, Julie says we saved the best for last because the Gamay grape and the Cru Beaujolais made from it are "her jam." 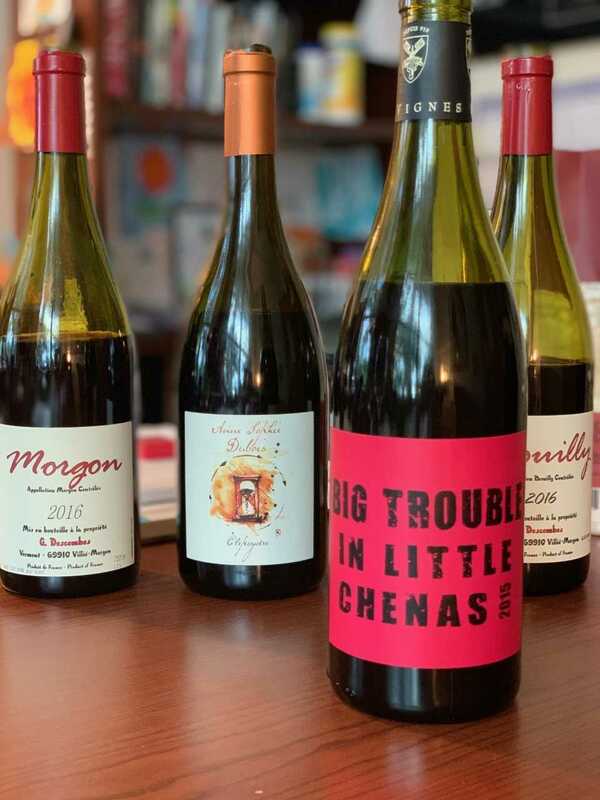 In this episode Gina and Julie try four of the ten crus: a Fleurie from Anne Sophie Dubois, A Brouilly and a Morgon from Georges Descombes, And a cleverly named Chenas (Big Trouble in Little Chenas- a riff on a Kurt Russell classic) from Julien Guillot whose Beaulolais project is hard to find in the way of a web site- however if you'd like to learn more about his loftier Burgundian domaine, Vignes Du Maynes, click here.